Everything's better with... uni? Chefs around the country are embracing the salty-sweet funk and irresistible creaminess of sea urchin. 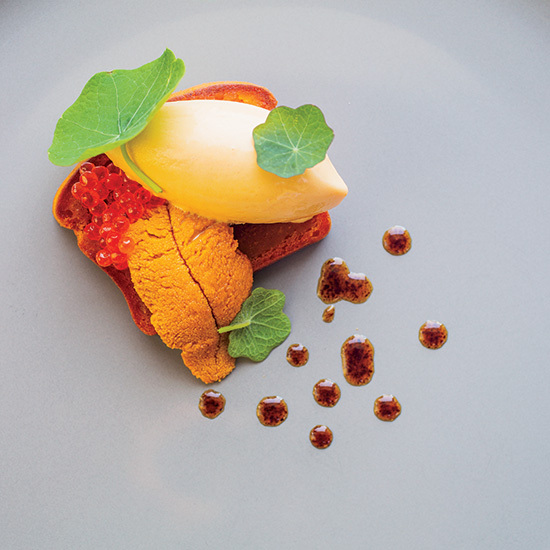 Castagna in Portland, OR, pairs squash quick bread with luscious sea urchin custard and a lobe of fresh uni. At Houston's Provisions, glistening slabs of raw sea urchin top the roasted-garlic-and-guanciale pizza. Uni puree and jalapeño-miso butter create a rich, briny pasta sauce at Los Angeles's Superba Snack Bar. Panini-pressed baguettes loaded with uni emerge warm and gooey at Toro in New York City. Pairing uni with piment d'Espelette and mint brings out its sweetness at Salt & Straw in Portland, OR.